By Dan Ambrose: Marcos Maidana (31-2, 28 KO’s) fights well when he’s allowed to fight at a slow pace and pick his shots in a methodical manner. But in his fights where he’s had to pick it up a little and fight at a fast pace, such as in his bouts against DeMarcus Corley, Amir Khan and Erik Morales, Maidana has gassed out badly. Maidana is moving up in weight next month against former IBF/WBC lightweight champion Devon Alexander (22-1, 13 KO’s) in a battle at the Scottrade Center in Saint Louis, Missouri. Alexander, 24, likes to fight at a fast pace and really push his opposition. He’s a great inside fighter and is capable of beating Maidana on the outside as well on the inside. Maidana has the advantage in power, but that power will be useless to him if he can’t fight hard for more six or seven rounds before tiring out and losing steam on his shots. I think we may see Maidana take another loss here. The fight will take place on HBO with WBO super featherweight champion Adrien Broner taking on No.1 challenger Eloy Perez in what will likely be an action packed co-feature bout. I don’t think Maidana is going to be able to hold up his side of the main event. 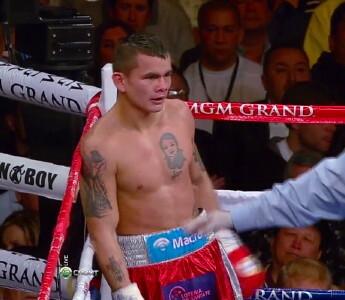 Maidana has looked terrible in three out of his last four fights against Khan, Morales and Corley. Had Maidana not hurt Khan in the 10th, would have looked a lot worse than he did. As it is, he lost the fight by a 12 round decision and gassed out in the last three rounds of the fight. Alexander also had problems with his stamina in his last fight against Lucas Matthysse, although not quite as badly as Maidana did. Alexander beat Matthysse by a 10 round split decision that could have gone either way. But he did enough the early rounds to iron out a victory. But Alexander learned from the fight that he needed to move up because it was just too difficult for him to make the 140 pound limit. Alexander had an excuse for his poor stamina. Maidana doesn’t have an excuse and he’s going to be in trouble in this fight if he fades like he’s been doing as of late. « Will Ricky Burns face a quality opponent on March 10th?